Then I saw one of the four living creatures give seven angels dressed in clean bright linen and wide golden belts, seven golden bowls filled with the wrath of God. 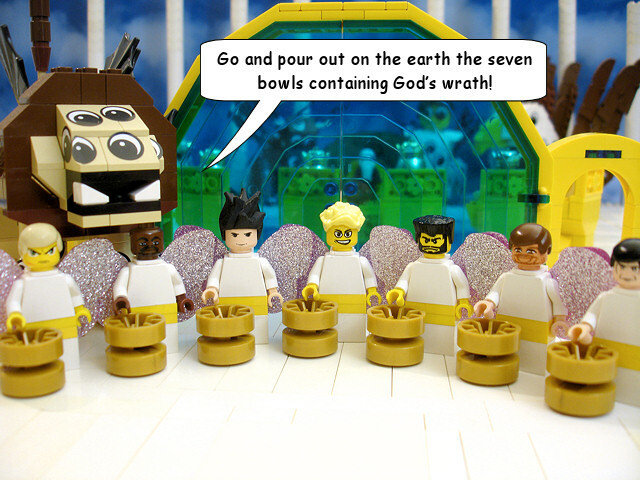 And I heard a voice from the temple shout, 'Go and pour out on the earth the seven bowls containing God’s wrath!' These seven plagues are the final, for in them the fury of God is complete.